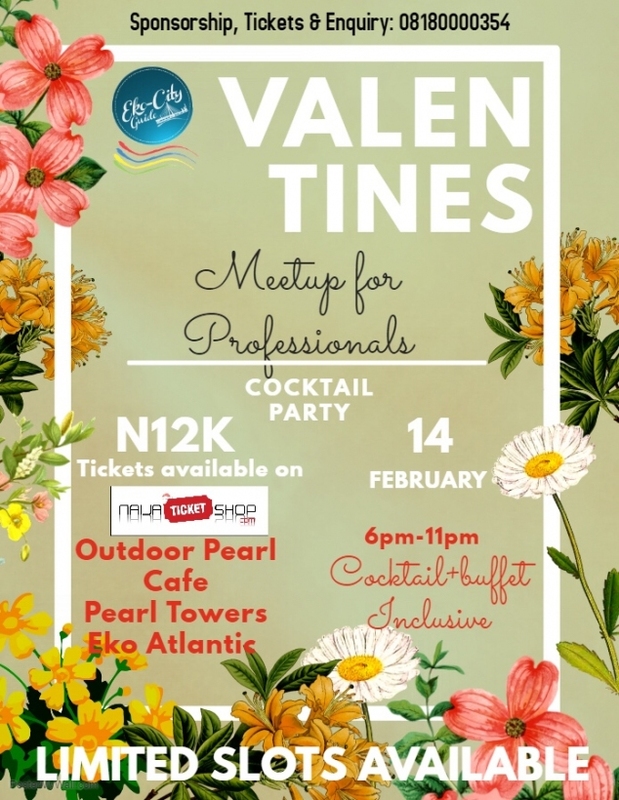 Click to enlarge Valentines meet up for professionals’ is an event targeted for young professionals within the Lagos metropolis. It is an avenue for professionals to meet-up, socialize, network and build new relationships outside the workplace. 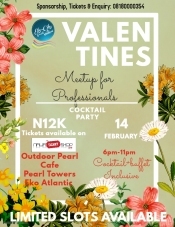 The effect of such event is that it fosters healthy relationships in a more relaxed atmosphere creating an opportunity for professionals to unwind and make new friends/potential business associates. Bullet Description: It is an avenue for professionals to meet-up, socialize, network and build new relationships outside the work place.